For the month of October, I’m offering Clare on a “set your own price” basis. Just go on over to Smashwords, download a 5% sample, and then decide what you want to pay for the rest. If you’ve ever thought books were too expensive, here’s your chance to do something about it. “Clare” is on Sale for Christmas! Here’s my holiday gift to you: Clare will be on sale until January 1, 2013. • Prices on the ebook editions (Smashwords, Amazon, Sony, Kobo) are now $2.99. • Order from Kobo, enter the code thankyou2012 and get another 35% off. • Purchase the print edition directly from the printer,* enter the code KL75LT35, and you will get $6 off the cover price. Do you know someone who loves historical fiction? Someone whose family came over from Ireland? Someone who enjoys journey tales? 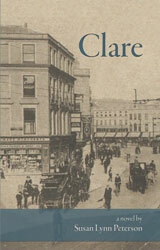 Give them a copy of Clare for Christmas. Smashwords has a give a gift link that makes giving Clare as a gift as easy as purchasing it for yourself. Now is the time. These prices will go away January 1. *Clare is printed by CreateSpace, a division of Amazon.com, so buying Clare from the printer gives you the same quality and security that you get from Amazon. The Fighting Man of Japan is out on Kindle. 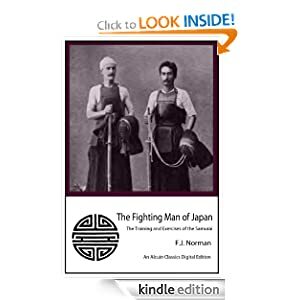 Alcuin Digital Classics (one of the imprints of my publishing company) has just released a Kindle version of F. J. Norman’s classic “The Fighting Man of Japan.” It details Norman’s experience with Kendo, Jujutsu, Sumo and the Japanese navy in late-nineteenth-century Japan. The photos are amazing and are now optimized for viewing on an Kindle. Get it now on Kindle. 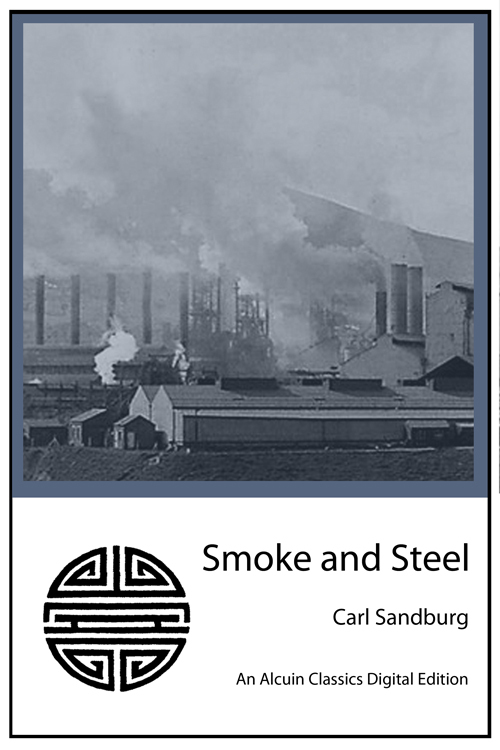 The latest addition to the Alcuin Classics Digital Book series is now available: Carl Sandburg’s Smoke and Steel. I’ve always admired Sandburg’s ability to craft an image. It was a pleasure to resurrect this out-of-print book and offer it on Kindle. Battle Hymn of the Tiger Mother requires a certain flexibility of thought. The premise involves contrasting “American parents” and “Chinese parents” using experiences from Chua’s life bringing up her two daughters. But the narrative opens a hornet’s nest of questions: What is the purpose of childhood? Can what is deemed cruel in one culture be kind in another? If you had to choose between enjoying your life and doing something special with your life, is one choice more moral than the other? What if the choice was not for your own life but for your child’s? If Battle Hymn of the Tiger Mother was an easy book for you to read and process, you probably missed most of the nuance. The characters’ lives are filled with mindless simplification: sweeping generalizations, unwarranted dramatics, blind ambition, and false dichotomies. Chua does not appear to be a very reflective subtle person until you realize that in writing the book she is being very subtle and reflective about her lack of subtlety. Then you realize that your own response is not a simple response to a narrative but also a knee-jerk reaction to your own life as both a parent and a child. Read it with your fiance, with your teenaged child, with your mother after you are grown and out on your own. Then talk. It asks for reflection and conversation, not just a gut response (though you will probably have one of those, too).